Technical support is provided by the development team. Printer's Apprentice features are listed below. If you don't see what you are looking for, please contact us. We always strive to add features that our users are asking for! Windows 10, Windows 8 & Windows 7 ready! Standard Windows user interface with support for Visual Styles and themes. 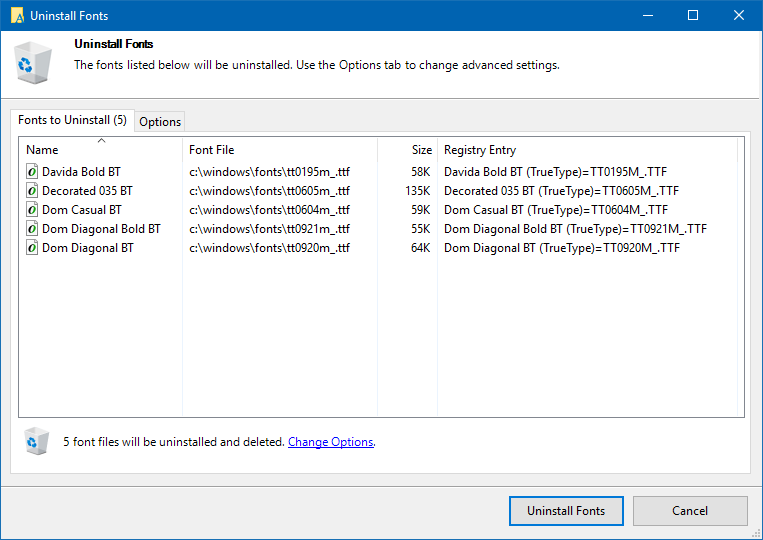 Familiar Windows Explorer-style interface for quickly viewing installed fonts or browsing uninstalled font files on any media. Extensive online help system and "How To" help for all dialogs and screens. Professional setup gets you up and running quickly. When needed, the uninstaller removes the application and all supporting files. Printer's Apprentice contains no spyware, no malware and no viruses. Character set display can be displayed using a grid in a 2x2, 3x3, 4x4, 5x5, 6x6, 7x7, 8x8, 9x9 or 10x10 configuration. 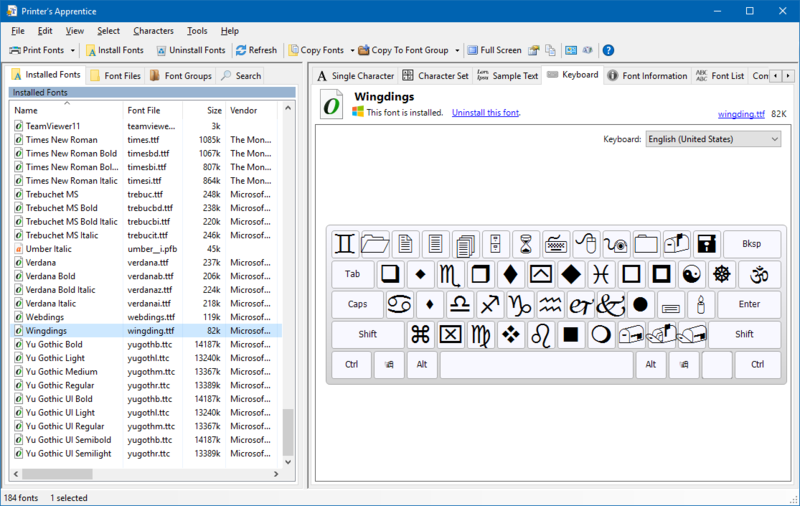 Keyboard display shows you where symbol and dingbat characters are on a standard PC keyboard. 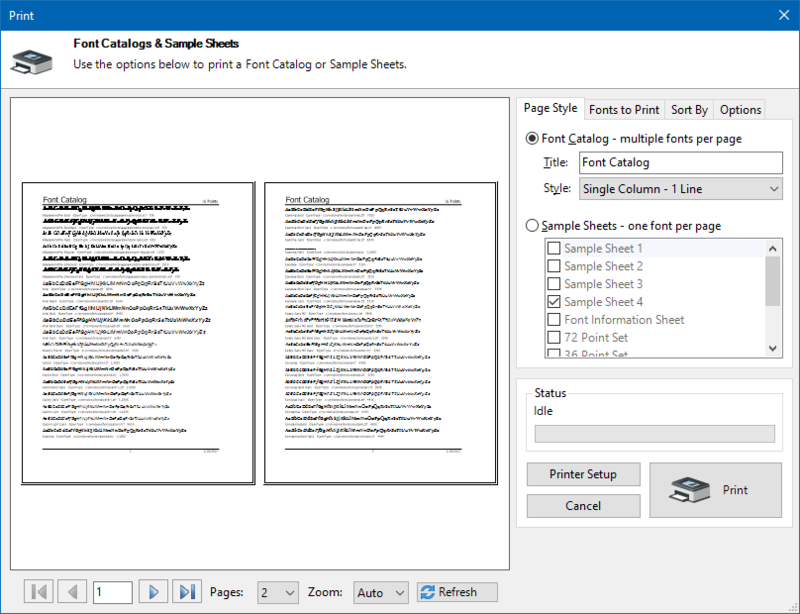 Easily examine copyright and other information embedded in font files. 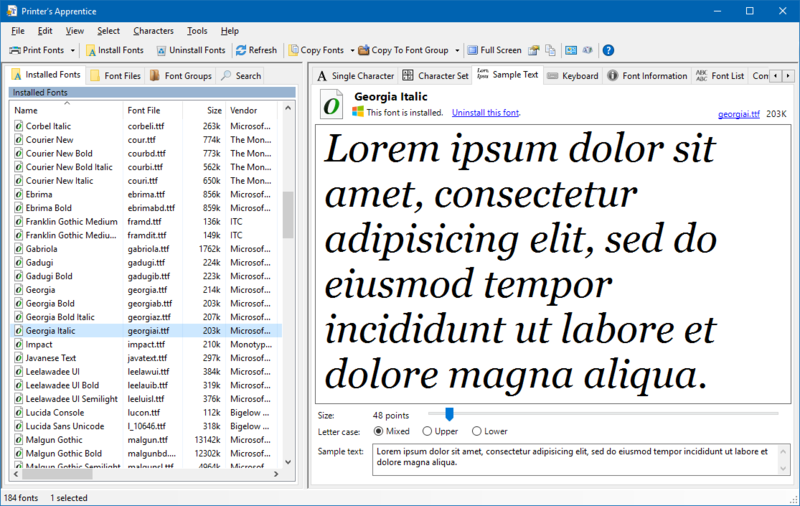 Compare Fonts tab shows you multiple fonts at once using your own sample text. 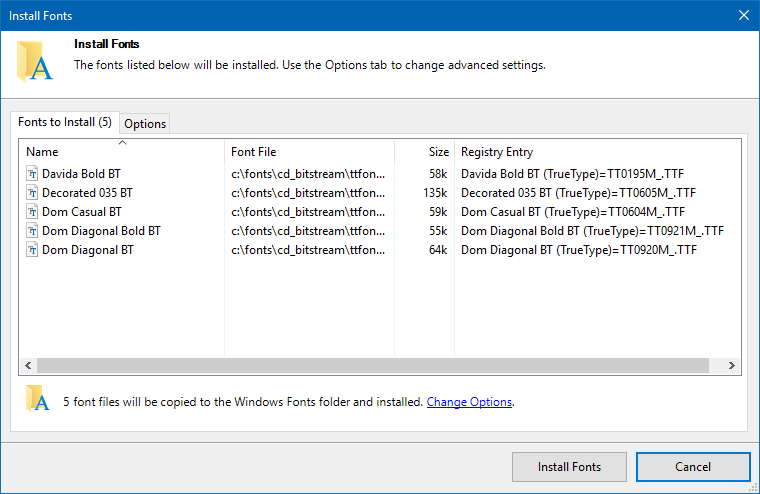 Any number of fonts can be installed or uninstalled at once. 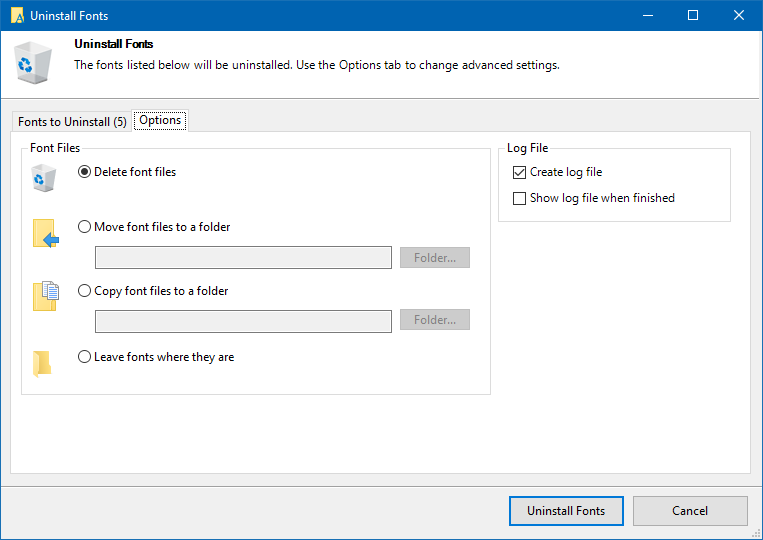 Uninstalled fonts can be previewed, printed and installed from any media including external drives, CDR, flash drives, floppies, etc. Organize your TrueType, Adobe Type 1 and OpenType font files any way you like by sorting them into folder-based groups. 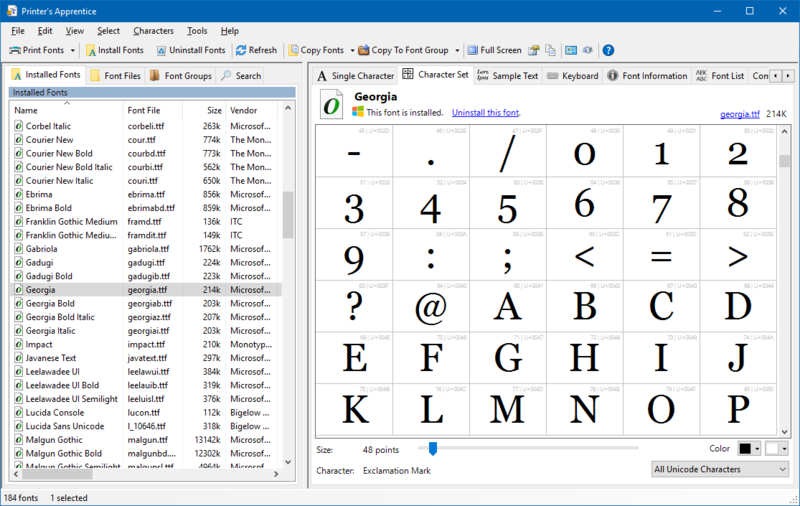 Font group list is integrated into the main Printer's Apprentice window for easy browsing. 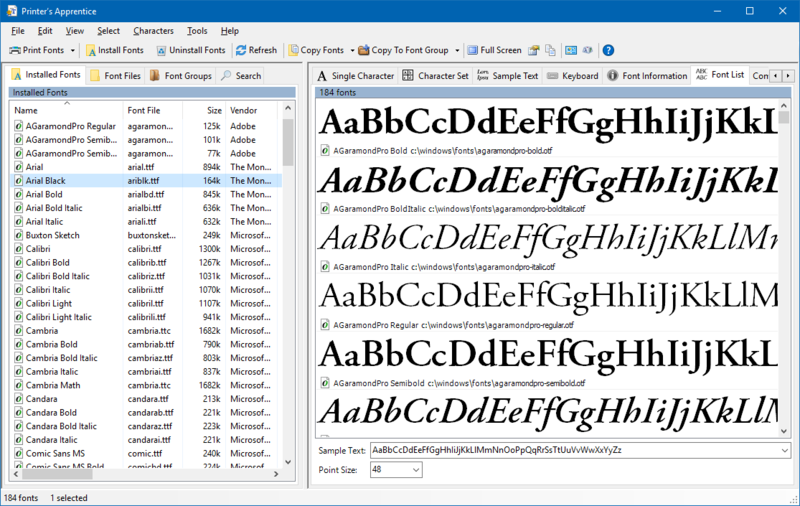 Font groups are managed and navigated using the standard Windows Explorer style tree interface. 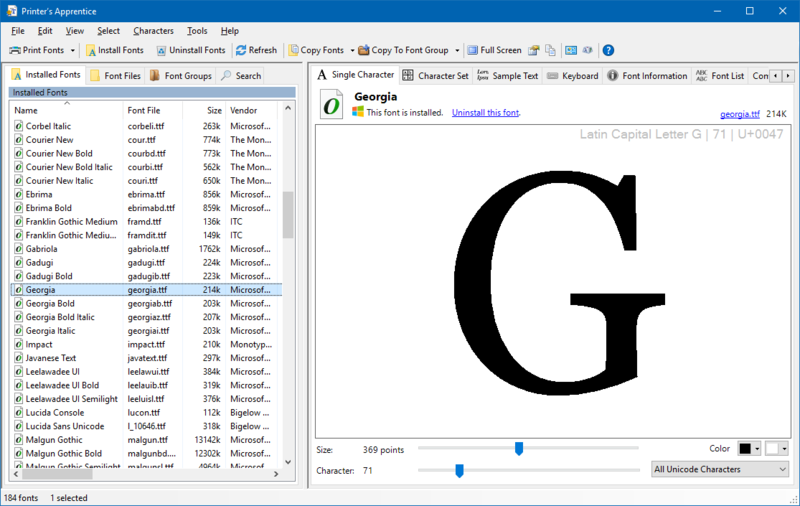 Easily install and remove entire font groups with a few mouse clicks. 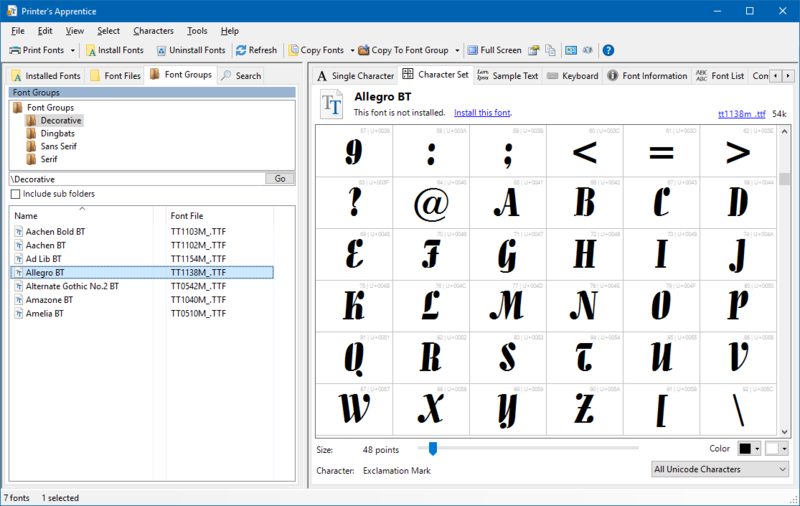 Fonts stored in groups can be viewed and printed just like installed fonts. All printed catalogs and sample sheets are available for font groups. See how great your fonts look on the printed page! 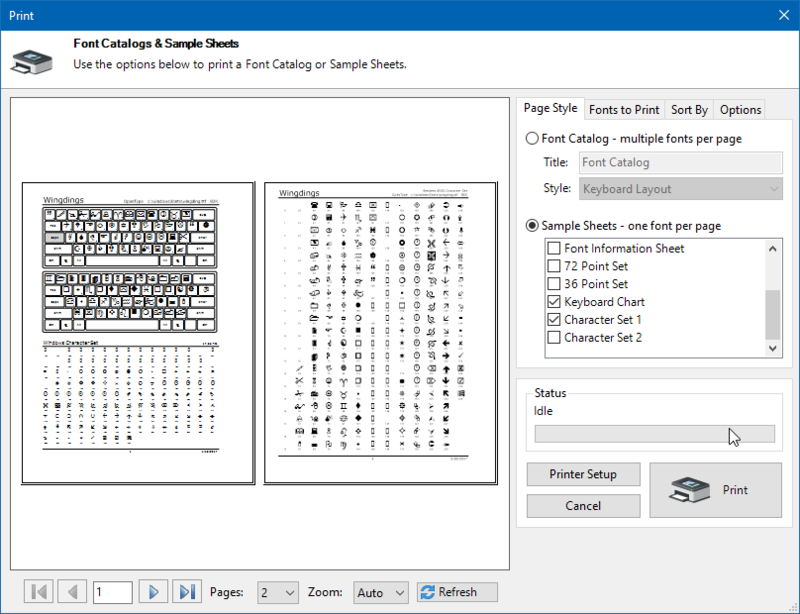 Use font catalogs and sample sheets from Printer's Apprentice to create customer sample or reference books. Customizable sample text, headers and footers. 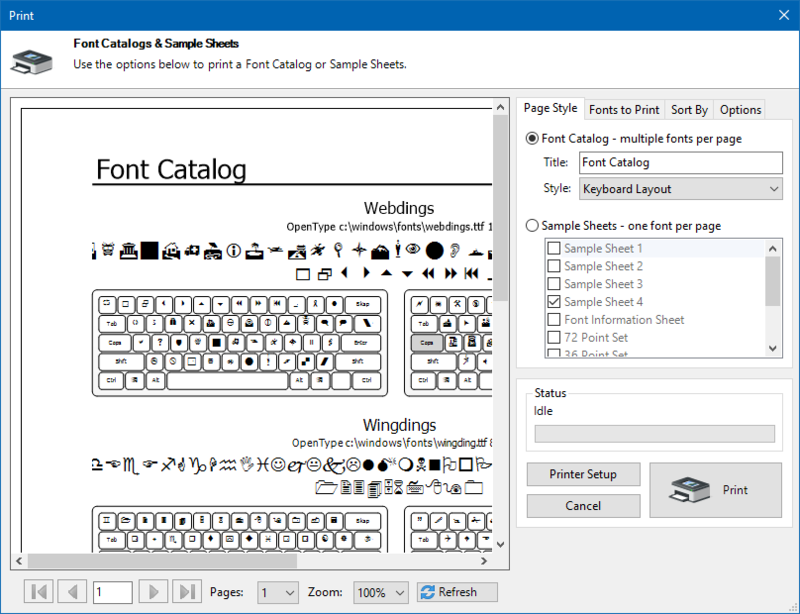 Font catalogs print multiple fonts per page with customized point sizes. 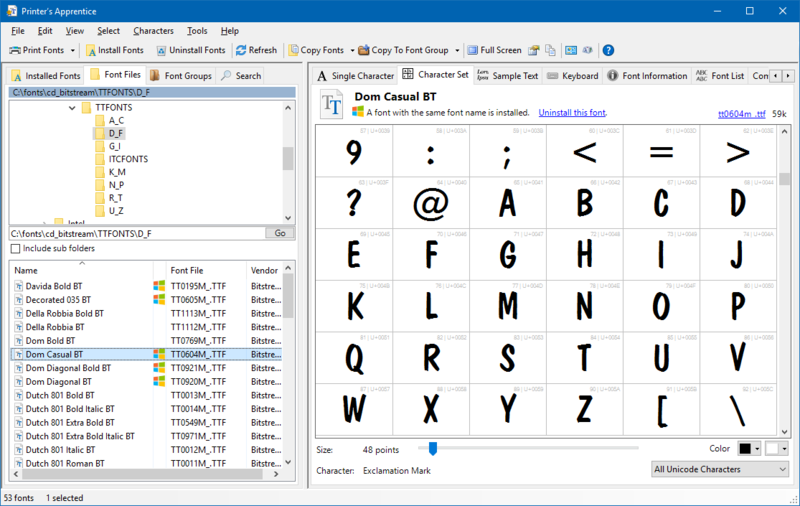 Font file name, path location and KB size are optionally printed for each font. Multi-page Print Preview window shows you what the output is going to look like.